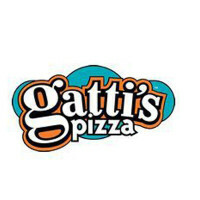 Gatti’s Pizza is a chain of pizza-based restaurants that got its start in Texas. To see what career paths are available to you and to find out how to apply for Gatti’s Pizza online, follow the link at the bottom of the page to get started on your Gatti’s Pizza application today. The restaurants have been going since 1964, when the first location was opened by James R Eure. The name of the restaurants comes from his wife’s name from before she was married. Now there are over 140 locations in 12 different states, mainly in the South East. The company headquarters are located in Austin, Texas. As you would expect you can find a wide array of different types of pizza at any one of their restaurants. Each pie is made with dough made daily, their signature sauce with 16 different herbs and provolone cheese. There are many classic toppings to choose from, or the option to build your own if you’re feeling creative. In addition to the pizzas customers can also choose from a variety of different sides, drinks and desserts. Their side dishes include salad, chicken and garlic bread. If you’re still craving more pizza after the first course they even have a Dutch Apple Treat pizza that you can order for dessert. They are always accepting applications for Gatti’s Pizza careers at the entry-level. The most common openings available in the restaurants are Delivery Drivers, Guest Service Team Members, Food Production Team Members, Dough Rollers, Assistant Managers and General Managers. You will need to have proven leadership experience to apply for managerial roles. There are also job opportunities in the corporate side of the industry although they are less common. Vacancies in this sector will be in the departments of Administration, Finance and Accounting, Human Resources and Sales and Marketing amongst others. For these roles you will often need a college degree in a related field. How old do you have to be to work at Gatti’s Pizza? You only need to be 16 years old or over to apply for jobs at Gatti’s Pizza, but you should check the specific job description before applying as you may need to be older for some careers. Eligible employees will be able to enjoy a number of benefits with Gatti’s Pizza jobs although they may sometimes vary depending on your franchise location. Typical perks will include a healthcare package with medical and dental insurance plans as well as a 401(k) retirement plan and a flexible spending account. The hours of operation are usually from 11am to 10pm Sunday to Thursday, 11am to 11pm on Fridays and 10am to 10pm on Saturdays. Delivery Driver – You will need to have a valid driving license to be considered for this position. Delivery Drivers are expected to take orders to different customers and take payments. It always helps in this role to have a good knowledge of the local area. The typical pay for this role starts at $8/hour. Team Member – As a Team Member your main responsibilities will be to serve customers. This will involve taking their orders, putting the orders together and serving drinks. You will also take payments and process transactions. There will be other daily tasks as assigned by the manager. The average pay is $8-9/hour. Assistant Manager – As an Assistant Manager you will help in running the daily operations of the restaurant and be expected to run it in the absence of the manager. You will help with supervising the staff and ensuring that they deliver customer service to the expected standards. The salary can be up to $30k/year. Manager – Working in this position you will need to be able to run all of the operational functions of the restaurant. Managers are responsible for hiring, training and ongoing management of staff. You will need to ensure that all customers leave satisfied with the service. The salary for this role typically starts at $40k/year. When you have submitted your Gatti’s Pizza application, prepare for your interview by practicing some questions like these. Why do you want to work here? You’ll find that this is a very common opening question. It can often help to do some research on the company and the employment opportunities before you go to help with your answer. Do you have any experience in this industry? For many entry-level positions this won’t be necessary but if you have worked in a similar role then describe your duties. Be specific in your answer by giving dates and employer details. What is your biggest weakness? People often find it hard to answer this question because you don’t want to be negative but the way to get around it is to tell the hiring manager what you have been doing to work on your weaknesses. How do you cope in a busy work environment? This can be a fast-paced industry and you may often need to serve many customers at once so you need to be able to handle it. Try to describe a time when you have to deal with conflicting priorities. Have you ever had to deal with an angry customer? It’s always helpful if you can give specific examples in these types of questions. If you haven’t worked with customers before then think of when you diffused a tense situation. Search for Gatti’s Pizza jobs online to see a list of the Gatti’s Pizza jobs at all the different levels. You can submit your Gatti’s Pizza job application online for their restaurant-based jobs. If you’re interested in corporate job opportunities you should make a direct application expressing your interest with your resume and covering letter. To send in your application you can either apply online by filling in the online application form or you can also download a printable application for Gatti’s Pizza. You can also go down to your local restaurant and request a free application form from the manager there and complete it in person. You may be invited for one or more interviews depending on the career path you’re applying for. At the interview, make sure that you are well presented and smartly dressed so that you give off a good first impression. Greet the interviewer with a smile and a firm handshake and remember to make eye contact throughout. One of the most important things to remember in an interview, especially for a job role that involves customer service is to have the right attitude. A positive and enthusiastic frame of mind can help your chances greatly, even if you don’t have much previous employment experience. Remember to be friendly but professional. Gordon Food Service: Checkout the application page for work at Gordon Food Service. Domino’s Pizza: Visit the Domino’s Pizza application. Fox & Hound Restaurant: Visit the job application for Fox & Hound Restaurant to apply today. Peter Piper Pizza: See our resource page for more information on Peter Piper Pizza careers. The Yard House: See our guide for careers at The Yard House.